Looking for an interesting new element to add to your yard that won't break the bank? An ornamental iron or steel gate for your garden or driveway is a convenient way to add privacy, security, and style to your property at a price anyone can afford. The first thing to consider is what material you want to construct your gate out of. Each one has different advantages. A wrought iron gate is the most popular choice for a residential gate because it can be easily bent and welded, allowing you to construct intricate designs and patterns. It is very resistant to corrosion and does not break easily, which will make your gate cheaper and easier to maintain. The slag it produces when welded gives it a textured appearance which many people find attractive. On the other hand, steel has more tensile strength and is more difficult to work with than wrought iron. Wrought iron is more expensive than steel, but for this particular purpose, its versatility probably makes it worth the investment. Both wrought iron and steel gates are more expensive than wood gates and fencing, but they are far more durable. 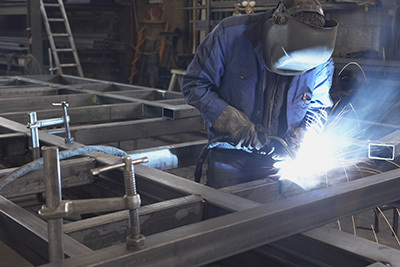 Whether you are looking to install a new residential or commercial gate, add decorative welded elements to an existing gate, or repair your broken iron or steel gate, “Gate Repair Brea” is the best choice for your project. No matter how small you think the job is, welding is a dangerous and complex art that you can't learn overnight. Trust the professionals and be sure the job gets done right. It will save you time and money in the long run. Have a gate that needs to be repaired today? Take advantage of our same day emergency service and take care of it now. Is your gate worn and falling apart from exposure to the elements? We can repair rotten gates and restore them to their original appearance. The hinges of your gate are typically the first element to go because of the stress of repeated opening and closing. That is why gate hinge repair is probably our most frequent job. Be sure to have your entire gate inspected regularly so that it can receive the maintenance it needs. Call Gate Repair Brea right now for a consultation with our expert staff. We can walk you through the entire process of installing or repairing your fence. Join our growing number of satisfied customers!